Henry Wilson was born in Edgeworthson, County Longford, Ireland, in 1864. He served in Burma and the Boer War (1899-1901) and then served as commander of the British Staff College. In 1910 he was appointed director of military operations at the War Ministry. In this position he worked closely with Ferdinand Foch to ensure Anglo-French cooperation in the event of war with Germany. On the outbreak of the First World War Wilson was the deputy chief of staff of the British Expeditionary Force on the Western Front. Wilson was Britain's chief liaison officer with the French Army until poor relations with Henri-Philippe Petain caused him to be withdrawn to Britain in May 1917. In London Wilson worked closely with David Lloyd George, the British Prime Minister. 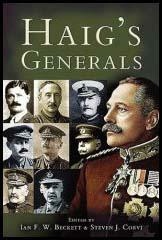 The two men were both critical of the way the Commander-in-Chief, Sir Douglas Haig, was running the war. 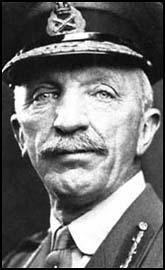 In March 1918 Lloyd George appointed Wilson as Imperial Chief of Staff. In this position he supported the decision to make Ferdinand Foch Allied Supreme Commander during the final stages of the war. Wilson retired from the army in the 1922 General Election became MP for North Down. Sir Henry Wilson, a staunch Irish Protestant, was shot dead in London by Catholic Republicans in June 1922.